Crystal Dynamics, the development team behind the new Tomb Raider reboot, took to answering some late night questions about the game in a short Q&A with fans. Although the one-hour segment didn’t go into great details about the game, a few small facts did arise. 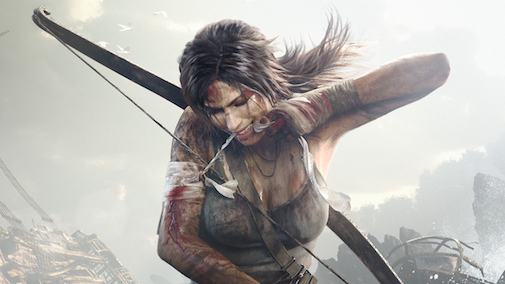 The answers came from Karl Stewart, the Global Brand Director, who took to Twitter for one-hour in a lightning round of Tomb Raider trivia. We will skip some of the lame questions and head right to the good ones in order to save you some time. One of the best questions asked was how long will the gameplay be, to that question Karl stated, “12 to 15 + depending on your play style”. When asked if Lara could swim, the answer was a touch odd; “Lara can swim, but just not in this game” Karl said. This hopefully will quell any ideas of underwater levels… we hope. It seems Lara will be using the regenerative life-meter in this game and will be forgoing the traditional ‘life-bar’. Karl stated on Twitter that Lara will have “regenerative” health and will have “no need for items” in that respect in this iteration of Tomb Raider. It seems that Square Enix may be planning a few midnight releases for the game as well, Karl confirmed that “it will” when asked, but would only say “more on that soon” at this time. For fans hoping that this will begin a new franchise, Karl had this to say about a possible sequel if the game is successful, “why of course” he simply stated. We couldn’t have stated it better ourselves. One question we really enjoyed was asked by @ZenonSamuels who stated, “Will the combat system be better than TR:Underworld?”. Karl’s response was simply, “haha…….OHHHH YEEEESS it will!!”. Karl promised much more information about the title would be released in December.